There is a tried-and-sorry-still-untrue pundit philosophy that says “Because I have no need for a thing personally, I can see no reason why this device should exist”. 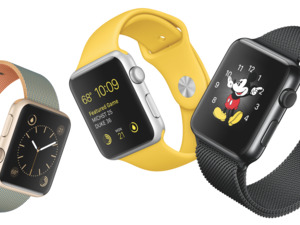 Writing for The Street, Ed Ponsi wants to second that emotion, wherein the emotion is Apple Watch fail. I don’t have much to add to them, I just want to throw more garbage on the existing garbage fire of condemning the most popular device in its particular category. I'll always defend the company when it gets things right, and that happens the vast majority of the time. However, I have no defense for the Apple Watch, at least in its current form. None? Zero? Zip? Null? Nada? How hard would you say you tried to find one? On a scale of “not at all” to “meh”. It's pretty, and it provides the time of day just as accurately as any cellphone. As a fitness tracker, it's on par products from competitors such as Fitbit. In other words, there is no compelling reason to buy it. Why buy this thing when you can buy other things?! You can’t argue with that logic. Because it’s not logic, it’s a ham and crazy sandwich on guuurrrl-what-are-you-even-talking-about bread. Why eat paella when sand is technically digestible? Why open doors when smashing through things like the Kool-Aid guy works just as well? Except the Watch does more than every Fitbit device, including the Blaze. It is certainly hard to defend a device when you ignore all of its advantages. The Macalope’s not sure why you’d do that, but that is true. Ponsi’s biggest complaint about it is what it doesn’t currently do: It doesn’t detect blood glucose levels and it doesn’t detect whether or not the wearer is having a heart attack. Would it be nice if the Watch had these things? Sure. However, you can find some ways in which the Watch with its current feature set is helping people, if you try just a little bit. Both Steven Aquino and Molly Watt have written recently about how the Apple Watch has improved their lives through its accessibility features. 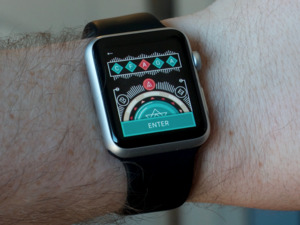 While it could certainly stand to be improved, the Watch has already made many lives better. Ponsi seems to have not looked outside of his personal experience before dismissing it. The last thing the Apple Watch should be is a mere watch. The Macalope’s Watch face currently has five complications on it. He uses it to quickly see messages when he’s driving so he can decide if he should pull over to respond. He use it to listen to music when running. Timers, adding things to store lists, weather information, solving quick math questions, none of the previous “mere watches” the horny one previously owned could do any of these. Indeed! And allow Ponsi to demonstrate exactly that. The watch presented an opportunity for Apple to do more than just entertain us, or help us communicate. It gave the company an opportunity to create a product that could save lives. Because it doesn’t literally save lives, it’s a failure. By that standard everything that is not a medical measurement instrument or device that implements a medical procedure is a failure. COOL STANDARD, BRO. WHERE CAN ONE SUBSCRIBE TO MORE UNREASONABLE STANDARDS? Is the Apple Watch perfect? No! Good God, no. It’s slow, Siri is spotty, a lot of apps are klunky and the single click on the side button is dedicated to something you’re unlikely to ever use. Yet, somehow, the Macalope relies on his Watch all the time. And, guess what, his opinion of it doesn’t really matter, either. What matters is if people are buying it. And, compared to other devices in its category, they are.